Baby Vishnu Priya has almost lost her voice from crying, but she doesn’t stop because that is all she can do. Her fluid-filled tummy has become so enormous that it makes her breathless every now and then. Her mother, Vijayalakshmi, cannot bear to see her baby writhe in pain and tries to hold her; but the moment she does that, Vishnu Priya’s cries become worse. 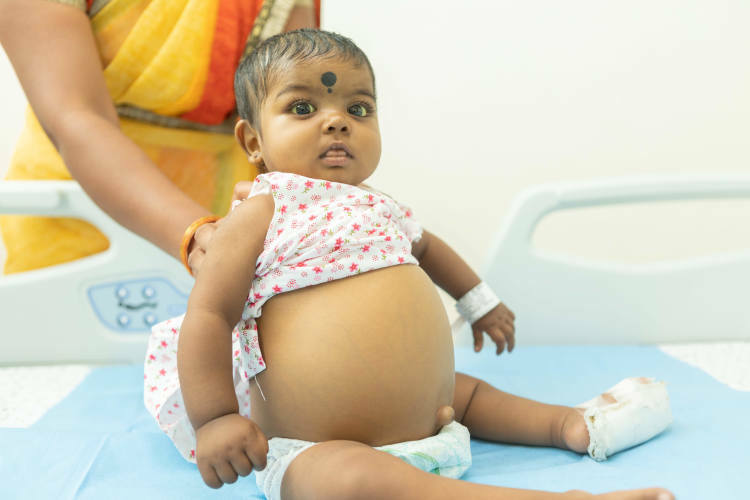 Nothing can help this baby except a liver transplant – her poor parents know that well. The only thing they don’t know is how they will arrange the funds for it. Vishnu Priya was born in a small hospital in Kondapur, a village in the Sangareddy district of Telangana. 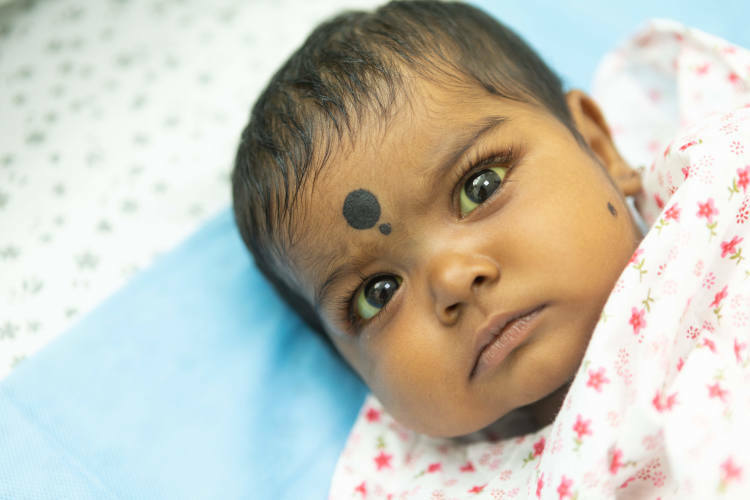 She had jaundice at birth itself, but doctors there dismissed it as a normal condition. “They said that some babies would get this yellowness in their eyes and skin, and that it would go away with time. We told them that she had dark-coloured urine and white pasty stools, but they told us to expose her to mild sunlight for a couple of days. But nothing really worked; she was not feeding well and looked very miserable. But they told us to give it some time. "-Rajeswar, father. Along with irritability and constant crying, Vishnu Priya had developed cold and swelling on her body simultaneously. This really scared her farmer parents because they had not seen anything like this in their lives. “I was very worried mainly because she would not feed properly. I thought to myself, ‘How will an infant survive without drinking breastmilk?‘. Her yellowness became more intense as well. But the worst of all – she developed swelling on her tummy. It was accompanied by a bad cold as well. When we took her to the medical centre, they told us that the swelling might be because of the cold. They gave us some medicines. We prayed for her to be alright, but she didn’t.”-Vijayalakshmi, with tears in her eyes. “We knew that it was more than a simple cold that was giving her these scary symptoms. We also knew that the medical centre in our small village did not have good medical facilities. There was only one thing left to do; take the baby to a good hospital in Hyderabad. The doctors there were surprised that we waited so long to get her good medical care, but I explained that we are poor farmers who did not know anything. I just hope we are not too late to save her.”-Rajeswar. At a time where babies smile and have babbling conversations with their parents, all this unlucky child can do is stare at her helpless parents with her dark yellow eyes. She cannot rest comfortably because of her swollen tummy. Even moving from one side to the other is a painful task. She is admitted in the ICU currently because her condition has worsened to the extent that anything can happen to her any point of time. “We are praying. When a natural disaster happens, all we farmers can do is pray, pray till nature shows mercy. That is what we are doing now also. Whom can we ask for help? All our relatives and friends are as poor as us. We hope somebody sees our child’s pain and helps her. We are begging you.”-Vijayalakshmi. Both Rajeswar and his wife Vijayalakshmi are farmers, for whom work is not available on a daily basis. But their income has halved after Vishnu Priya’s birth because Vijayalakshmi had to take care of her full-time. Even Rajeswar couldn’t really concentrate on work because his child was suffering all the while. Now they have been told that they would lose their precious child if she does not get a liver transplant at the earliest. But they do not have money. They sold some gold jewelry they had, but all the funds from that have already been exhausted. “We have left our first child, 6-year-old Chaitanya with his grandparents and come to Hyderabad to try and save our child. I just hope we don’t have to go back home and tell our son that his little sister is no more.”-Vijayalakshmi tears up. Apologies for the delay in getting back. We got in touch with the family and they provided bills worth 1.5Lakhs for the donor work up tests. Hence we have initiated the same to their account. The remaining funds upon discussion with the family and the hospital will be used towards Sriman's and Manish's treatment. Presently, Manish is not doing that well. 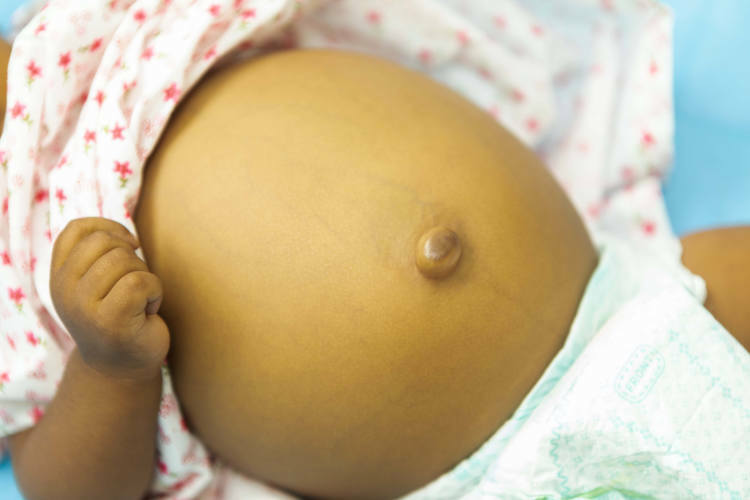 Doctors have done the donor work up and it is found that the mother is the prospective donor. The family is waiting to raise more funds so that he can undergo the transplant as soon as possible. However, in case you would like to opt for a refund , please reply to us by 10th of July and we will be happy to initiate the same for you. After which all the funds raised via this campaign will be transferred towards the above mentioned campaigns. Thank you for the wonderful support that you have shown towards Vishnu Priya. I am writing to share the unfortunate news that she passed away last night. Her body could not take the stress and she passed away on the way. Dr Bachina, the consulting doctor will share a detailed note on the nature/cause in a day or two. We are working with finance team for any pending bills and we'll keep you posted in the next post on the breakup of funds utilized and available. Appreciate your understanding and patience. Please do pray for her soul to rest in peace. Our prayers are with her family.